Low back pain may sneak up on you gradually, or hit you all of a sudden. Pain can be simply due to muscle tension, or from damage to joints, discs or nerves. The longer the back pain lasts, the more factors tend to contribute, such as stress, posture, muscle weakness and chronic soft tissue changes. Back pain is not fun, and can leave you feeling frustrated and helpless. A detailed assessment and a structured rehabilitation program is key for recovery. 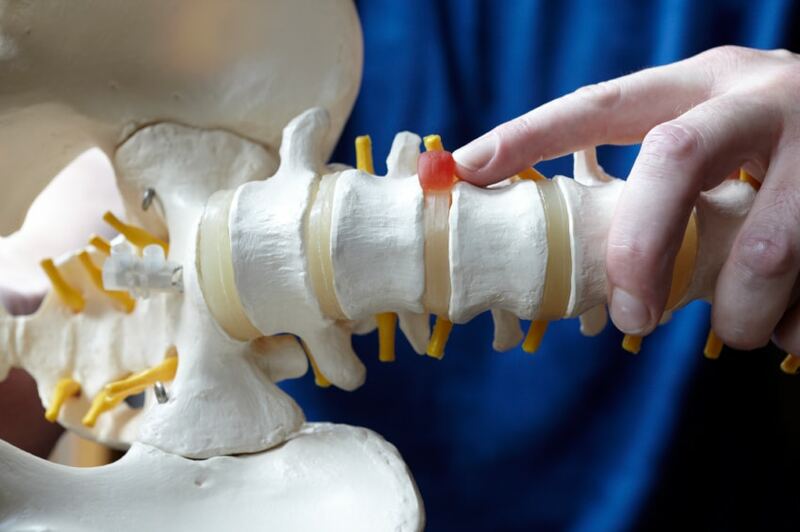 A thorough assessment of your back issue involves examining onset and timings of your pain, contributing factors, lifestyle considerations, previous investigations or treatments and more. We don't stop assessing your back until we feel we have all of the information that we need to work out what is causing your pain. Your physiotherapist will be able to tell you what structures are likely to be causing your back issue, and will explain your injury in straightforward terms that you can easily understand. We won't bamboozle you with jargon. You will be encouraged to ask as many questions as you want. We won't stop until your questions do! Back issues are generally only ever resolved when a number of treatments or interventions are put in place at once. Your treatment will include the exercises you need to do, any modifications you may need to make to your work, lifestyle or fitness program, plus advice on aids or equipment that may help you to recover more quickly. Keen to learn more about the lower back? Now we know what you’re thinking – how can Physiotherapy be performed online? It is often perceived as a very ‘hands on’ profession. At Online Physio, we have taken the physiotherapy consultation process completely online. This means that you can get your injury personally assessed and diagnosed via any combination of webforms, video consultations and secure messaging. Your Physiotherapist will then formulate a rehabilitation plan specific to your needs, and convey it to your computer via written report, online video, and to your smartphone via our PhysiApp. Physiotherapy as a whole has moved away from a reliance on complex machines and manual techniques, and more towards structured rehabilitation plans that the patient carries out themselves under guidance. This can be converted surprisingly well to an online format, and there is extensive research evidence to support this. And rest assured, if we feel that you do need to see a Physiotherapist or other health professional 'face to face', we will certainly let you know. The online physiotherapy consultation process is almost the same as if you were to visit us in a centre. You still receive all of the benefits, just delivered online instead.